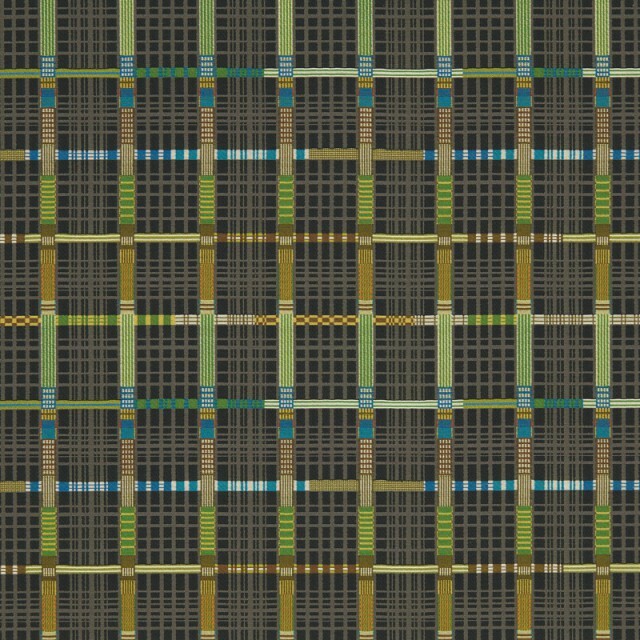 With its densely layered and highly detailed grids, Inlay reflects a level of intricacy and potential for visual discovery. 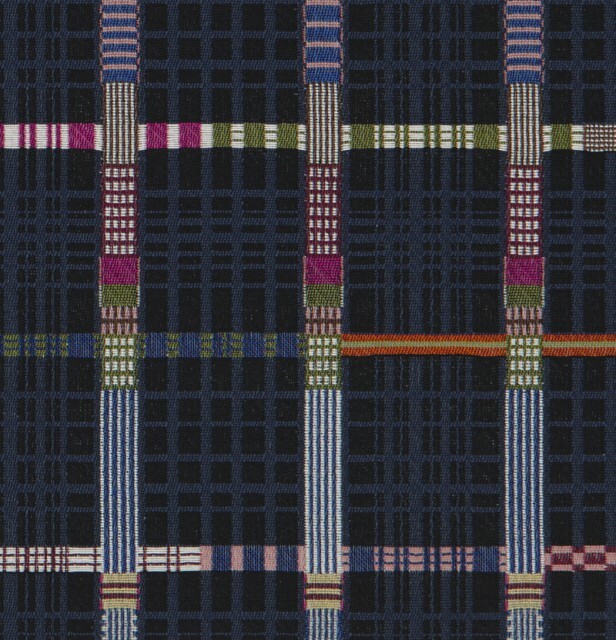 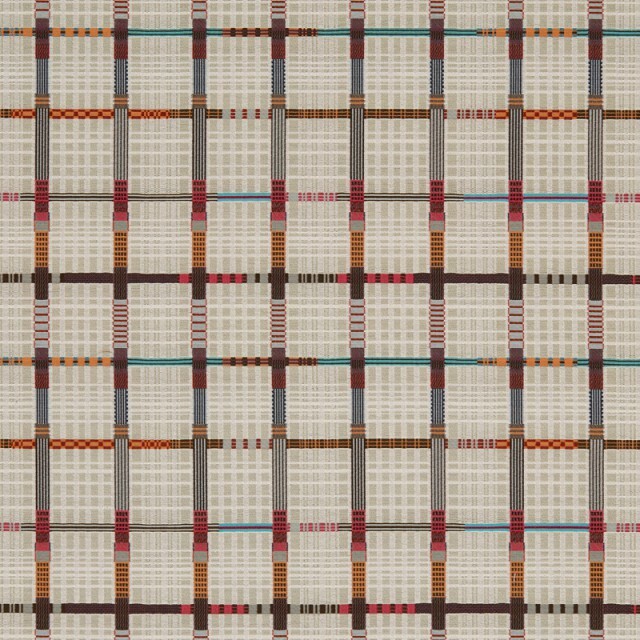 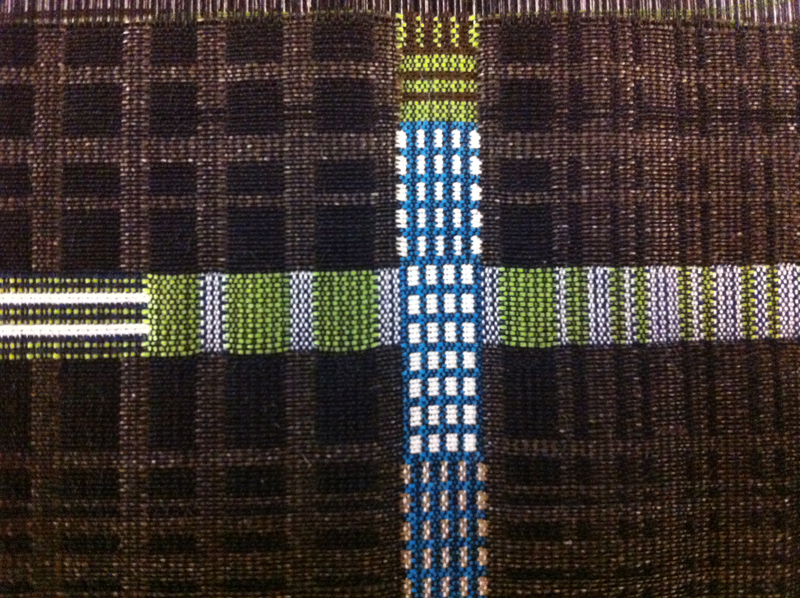 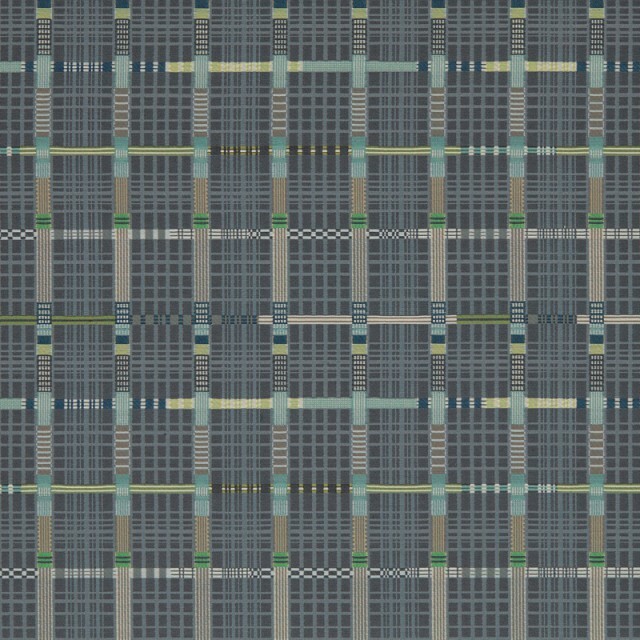 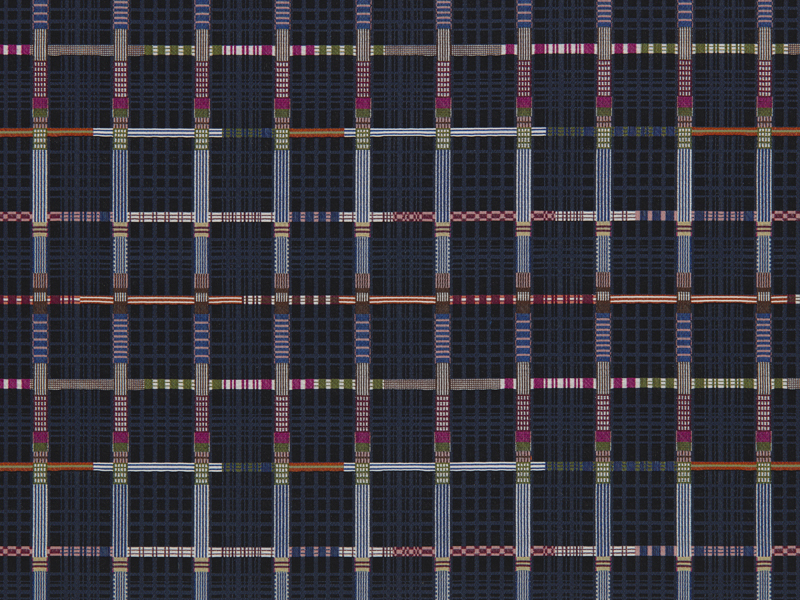 The surface seems bold and graphic at a first glance, yet upon closer inspection a subtle plaid becomes evident, upon which bands of unusual colours appear. 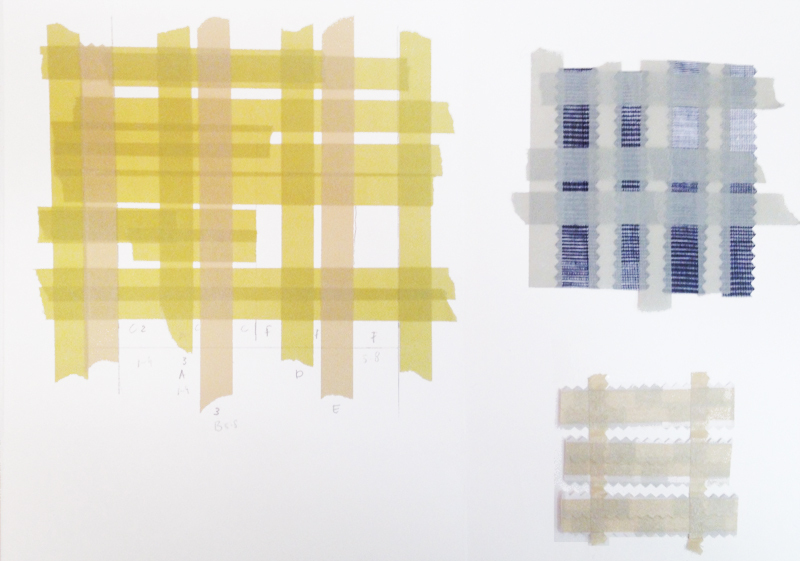 Influenced by traditional Dutch woven ribbons, the design was developed by layering vertical and horizontal pieces of tinted tape to capture the effect of overlapping patterns. 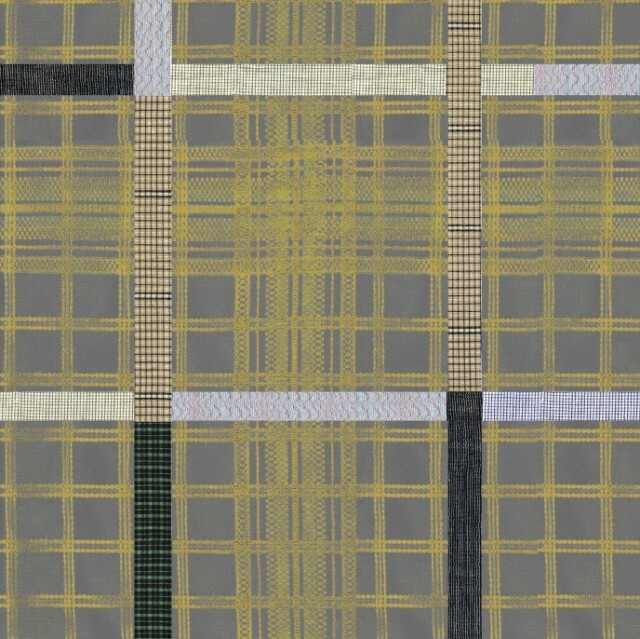 In time, Inlay evolved into a unique design of intricate checkers and stripes rendered in a finely woven quality with a handcrafted feel.